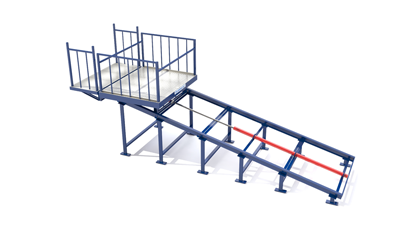 Gidrolast‘s V lift is an electro-hydraulic incline goods lift designed for the transportation of goods to various underground or above-ground levels with capacity from 300 (660″) to 2,500 (5,500″) Kg. 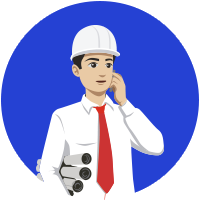 Type V has a stair-mounted or inclined surface before 45° load-bearing structure constructed of special structural steel beams inside which combined bearings slide. 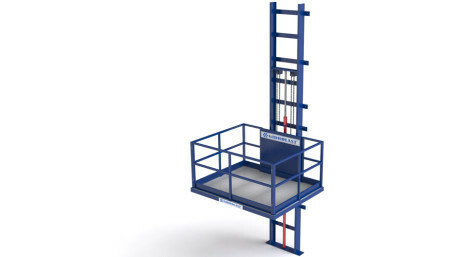 The platform is driven by a hydraulic cylinder with double-chain transmission. Gidrolast V can be installed wherever you need to store containers, pallets, crates, boxes and other heavy goods on various levels, such as mezzanines or wine cellars. As well as in private storerooms or industrial and commercial warehouses, the goods lift can also come in very handy for domestic use. As it is only intended for the transportation of goods, the goods lift is controlled from outside the lift shaft with simple up / down buttons to move the lift from level to level, and comes complete with warning lights to indicate whether the lift is free or occupied. Normally, Gidrolast’s V goods lifts are fastened to a suitable load -stairs or inclined surface. What’s more, depending on the model, they require only a very small pit. 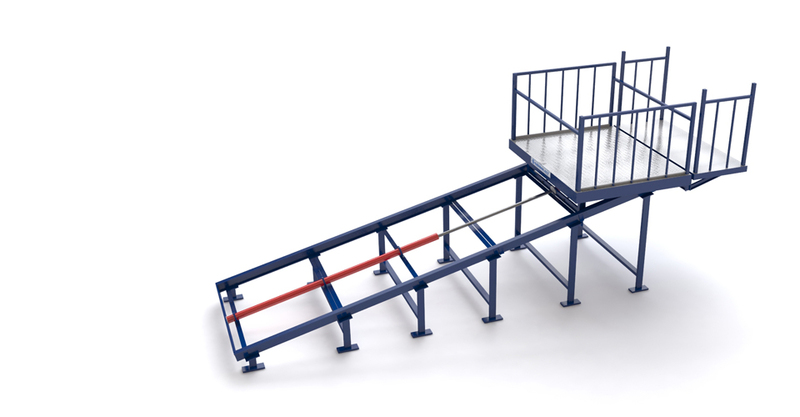 The incline goods lift can be supplied in customised sizes with a simple platform or equipped with large cabins and doors. Platform guides normally face upwards, but on request they can be fitted downwards so as to prevent the load from protruding above the surface.